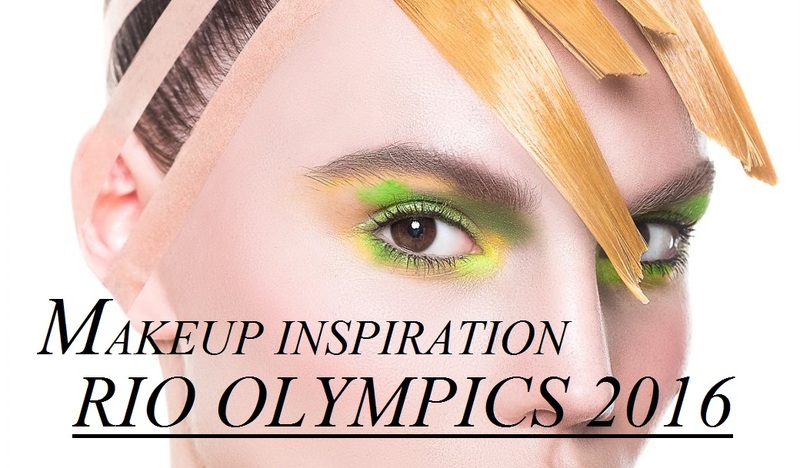 Inspired by the 2016 Games in Rio, we present a beauty spread that celebrates the five colours of the Olympic rings in fresh, bold and unexpected ways. The color of the sky and the sea, blue encourages us to reach for the stars and dive deep to uncover our fighting spirit. With a brilliant shock of aqua blue on the upper lids and browbones and a deeper navy shade on the lower lids, a rich, evocative eye is all you need. Wet look hair — almost like you've just taken a dip (or competitive swim) in the pool— complete the strong picture. The colour of power, passion and ultimately, victory — celebrate a winning streak (or a podium finish) with this fiery shade. 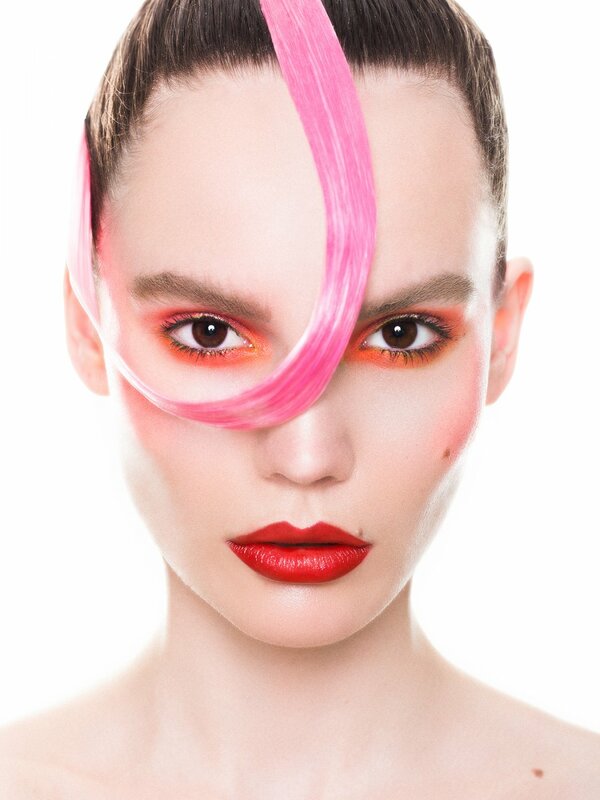 Here the interpretation of red is not literal, with a rust orange wash on the eyes, bold fuchsia on the cheekbones and a pink streak in the hair, complementing a scarlet lip. With a sparkling vivacity, yellow represents youthful vitality and the gleam of a gold medal. Eyes ringed in a highly-pigmented marigold and set against dewy, skin look fresh, striking and modern. 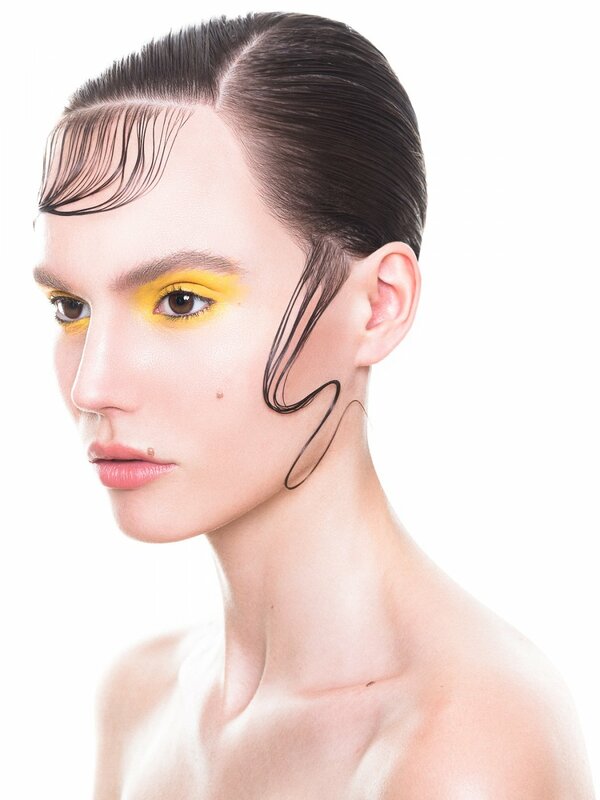 Hair is styled in intricate kiss curls to add texture and a dose of drama. This cool, serene hue is not just pleasing to the eye, it brings with it a sense of renewal and vigour. 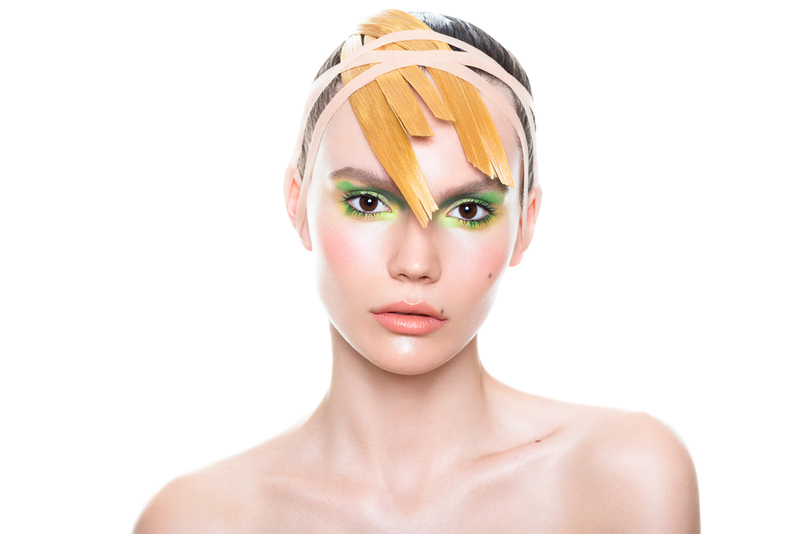 Here green takes on a spring-fresh appeal, blended artistically with harmonious yellow tones and creamy petal shades for a dreamy, ethereal effect. The hair is pulled back tightly— inspired by a gymnast's pristine style. This show-stopping shade is the dark horse in the competition with an intriguing sense of mystery. Eyes are smoked out and contrasted with a touch of silver, liner is winged with multiple strokes, while brows are darkened and brushed upwards for a sensuous, brooding effect. For more makeup trends and updates, follow me on Facebookand Instagram.